A native of Virginia Beach, Kristin Paige started making accessories early on. At just eleven, she learned to sew with her very first project being a handbag made out of the back pockets of jeans. That day turned in to the beginning of a life-long journey. In 2007, Kristin moved to New York City to study Accessories Design at the Fashion Institute of Technology, where her passion for handbags expanded with exposure to working with leather. After her senior internship with Rebecca Minkoff, she graduated with a BFA and took her first job designing for Fossil. After years designing for some of America’s most loved brands including Coach, Lilly Pulitzer and Victoria’s Secret, Kristin felt a pull to go back to her roots and return to Virginia. After attending a hand stitching workshop at RISD in 2016, Kristin set aside the sewing machines and began focusing on the ancient art of hand stitched leather goods. With two hands, two needles and thread, each item slowly takes form stitch by stitch. 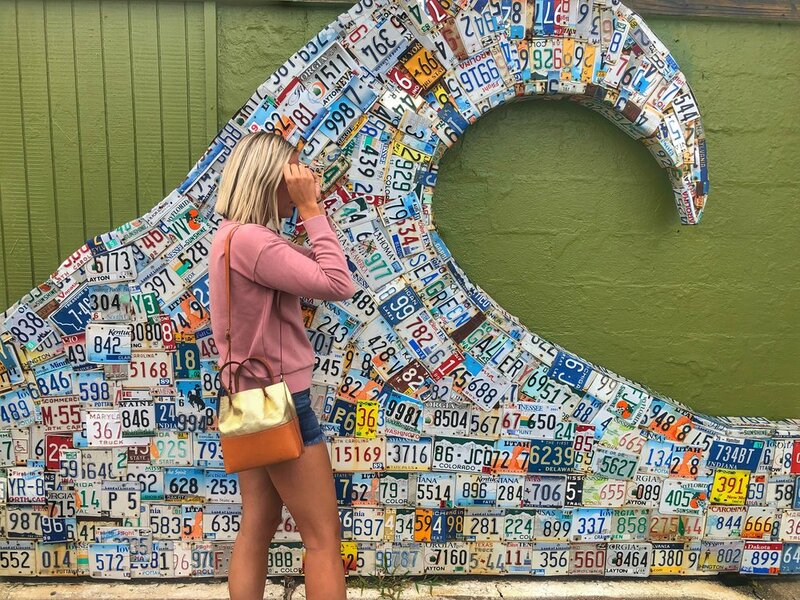 Freelance designer by day, entrepreneur by night, Kristin Paige spends most hours of the day immersed in the creative process and loves making the perfect accessories to pair with any style and any adventure!